In February 2015, almost a full year before the news of widespread lead poisoning gained headlines, the world’s largest private water corporation, Veolia, deemed Flint’s water safe. They were hired by the city to assess water that many residents had been complaining about—a General Motors plant had even stopped using Flint’s water because it was rusting car parts. Veolia, a French transnational corporation, deemed Flint’s water to be “in compliance with State and Federal regulations.” While they recommended small changes to improve water color and quality, their report didn’t mention lead. Often, the promises made by private water corporations—like Veolia—come at the expense of skyrocketing water rates and risks to public health. And customers in communities who sell or lease their water systems pay more than residents who live in communities with publicly owned utilities. Privatization is a page out of the “smaller government” playbook, the same playbook that Michigan Gov. 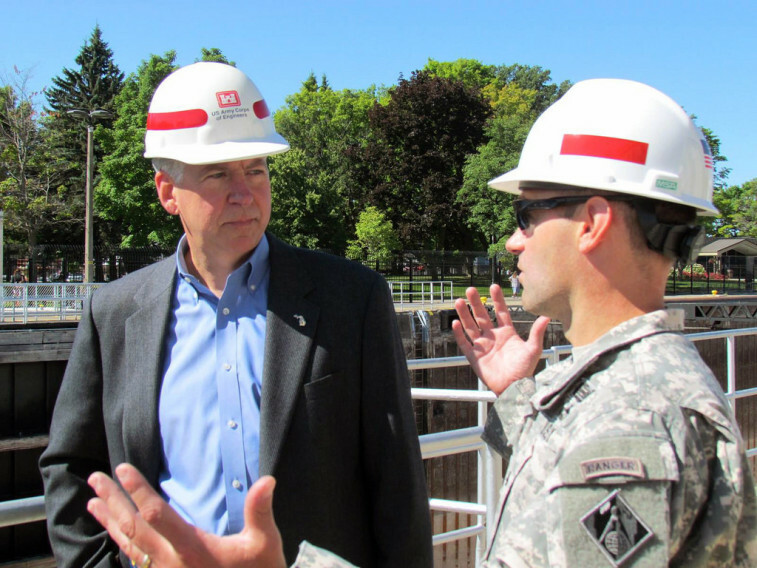 Rick Snyder used when he pushed through a law allowing “emergency managers” to take over the state’s cash-strapped municipalities and school boards. It was one of Snyder’s emergency managers—who had unchecked authority over Flint’s local elected officials—that decided to switch the city’s pipes to contaminated water. In their report, Veolia praised Flint’s government for being “transparent and responsive,” but they were praising a government ruled over by one of Snyder’s emergency managers. The same manager that overruled the Flint city council—democratically elected by residents—when they voted to return to the old, clean water after receiving Veolia’s report. The manager called switching back “incomprehensible” because it would cost money. So when people say Flint’s tragedy is a failure of government they really mean it’s a failure of running government like a business. There’s reason to suspect that privatizing Flint’s water system could be offered as an answer to the crisis. Detroit, also under “emergency management,” has considered privatizing its water. But giving private corporations a stake in Flint’s water system is clearly not the answer. That would be like trying to put out a fire with more fire.